These yolk-hued squares of wholesomeness might well be the best naturally gluten-free bread you have ever tasted, and surely one of the best breads in London. 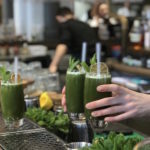 Mildred’s together with the Gate are time-tested icons of the vegetarian eating out in London. 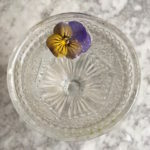 Both survived the murky decades prior to the plant-based cuisine becoming mainstream to mushroom their delectable spores in the fecund forest of the sustainably-minded diners of now. The founders Diane Thomas and Jane Muir opened Mildred’s on Greek Street in 1988. 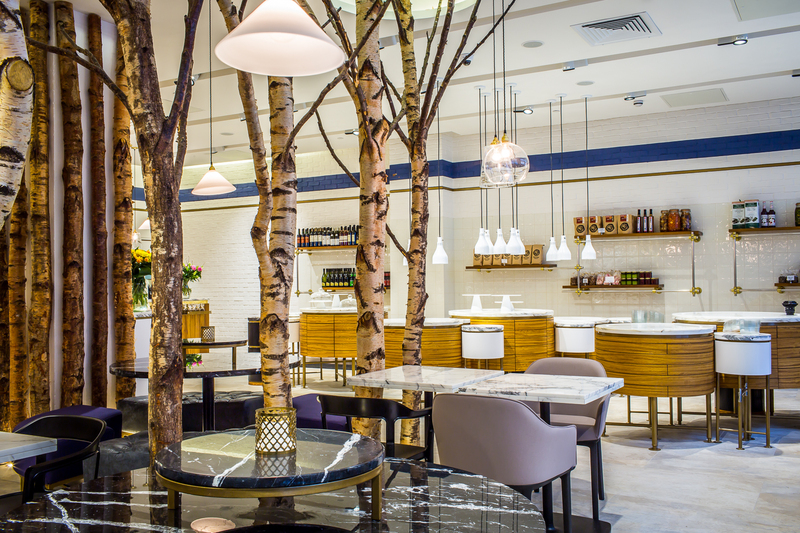 From the boho Soho, the no-bookings, cheap, animal flesh-free eatery evolved into a more sleek café. 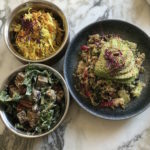 Vegan-friendly, Mildred’s integrates global cuisines in its plant and grain-centric plates that have consistently pleased, so new branches have sprung up from Soho to Camden, Dalston and King’s Cross. 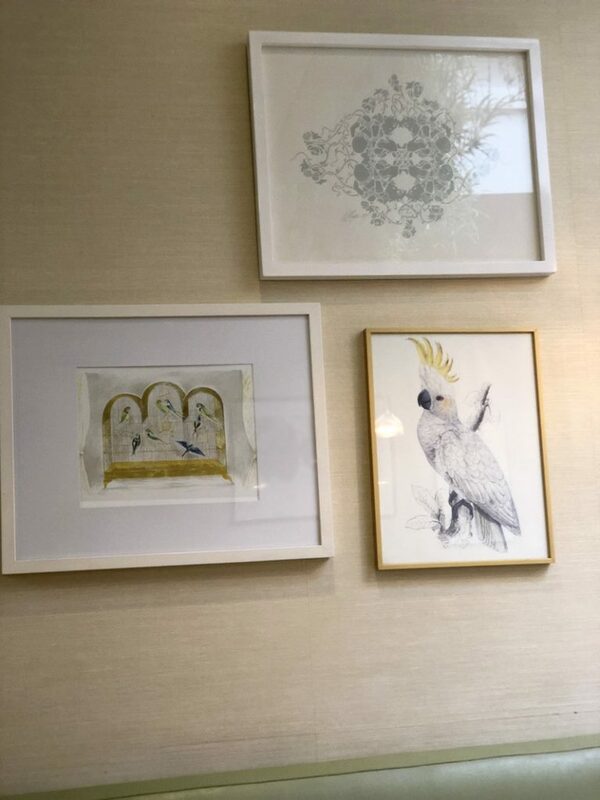 The art-filled café does more than support for animal-life, as the positively charged interior beams with positive energy. You can casually walk in and pick a veggie box, soup or a quiche to go from the work week buffet offer right as you enter. 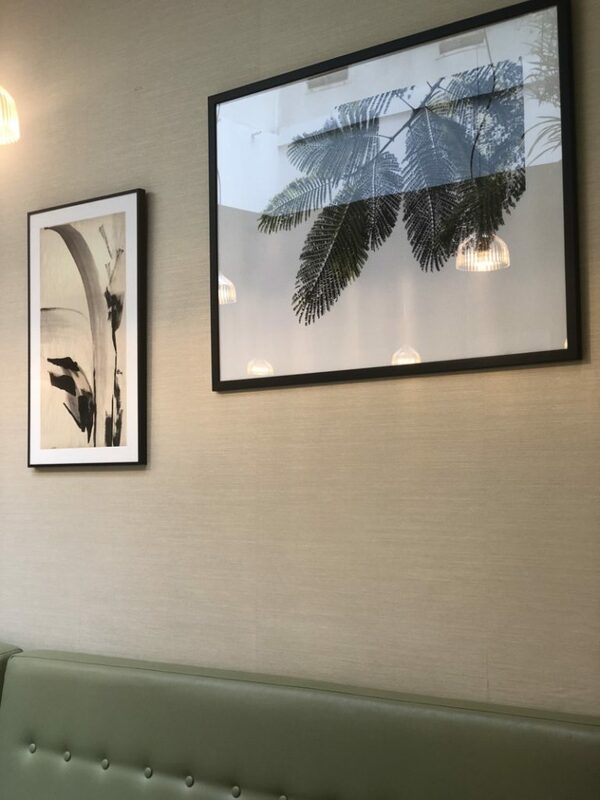 For a wholesome joy from your meal, book a lunch table all the way at the back, as when the sun shines, your meal feels happier under the glass roof X-ray. Daily specials spark the menu with the glitter of variety. 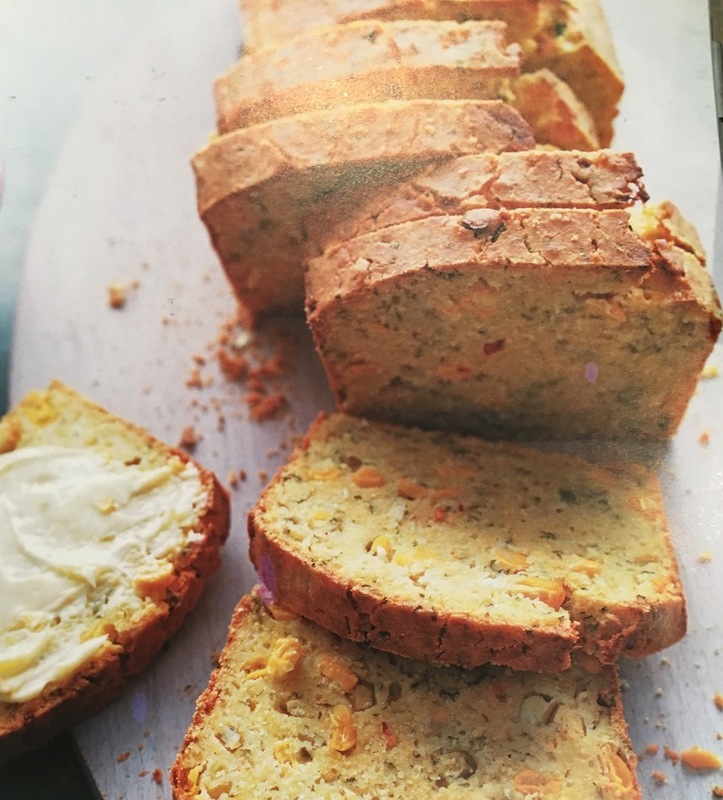 Whether or not you are a celiac or gluten-sensitive person start with the warm chilli corn bread. The crumbly, yet moist godsend is not that spicy, the side of chilli lime butter makes it so. These yolk-hued squares of wholesomeness might well be the best naturally gluten-free bread you have ever tasted and surely one of the best breads in London. 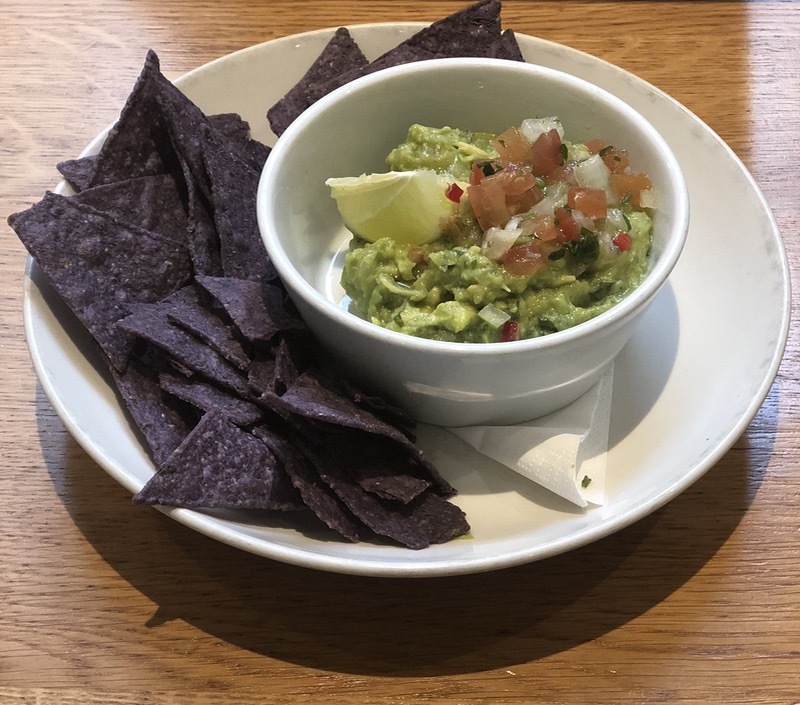 To share, the easy dab and crack of the organic triangles alas blue corn nachos with a house chilli guacamole (not locally sourced) that is luscious with a buttery plant fat. Another all-time favourite are the pan-fried gyozas stuffed with tofu, sweet chilli and a side soya dip. The warm grilled aubergine with luscious saffron tahini, pomegranate seeds and molasses is a great starter too. I am not a huge fan of mock meats and there are not too many on the menu at Mildred’s, but the black bean, halloumi (Cypriot, typically a mix of goat’s and sheep’s milk cheese) or mock chicken burgers can be plushed up to your liking with extra avocado, vegan cheese, fries et al. Still, I usually go for the naturally fish and meat-free dishes. Too good. The small pizzetta can be shared or rather, not. 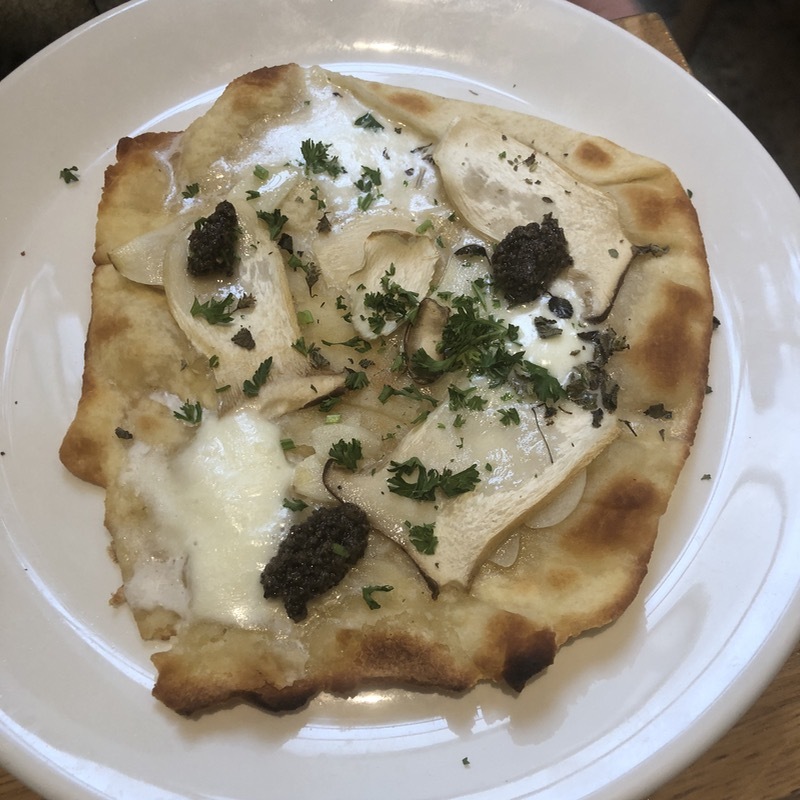 Topped with trumpet or porcini mushrooms, mozzarella and decadent truffle paste, the doughy treat is better than at most London’s pizzerias. Popular sweet potato fries are served with smoky chipotle sauce or tomatillo coriander mayo. A great, tasty, plus gluten-free carb fix. The croquettes were too oily, skip them. In fall, cauliflower enters the menu in renderings such as dried rose petals, pine nuts and pomegranate for an eastern Mediterranean taste. I also relished in the green falafel, ruby red freekeh (cracked wheat), saffron tahini, chermoula, spicy spinach with grilled aubergine. A cold day calls for the generous turmeric yellow Sri Lankan Curry. Sweet potatoes, long beans, green peas and cashew nuts with a side of sambal condiment are wholesomely enveloped in a creamy coconut blanket of abundance. As with most Southeast Asian recipes it contains a dash of sugar, so keep it in mind if that is what you try to avoid. Cocktails, organic wines and juices next to Belvoir fruit farms cordial, vegan beer, and mocktails add on sugar too, so keep an eye on the drinks. MUST HAVE: Warm chilli corn bread. Guacamole & blue corn nachos. Pan-fried gyoza. Rose petal and pomegranate scented cauliflower. 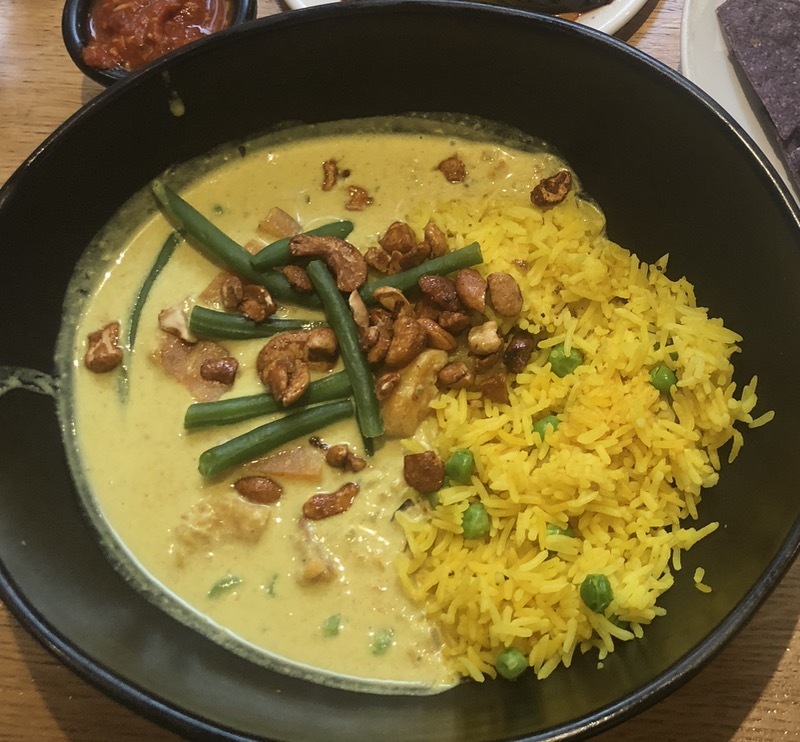 Yellow Curry with green peas, string beans and cashews. The ultra-thin crust Pizzeta with porcini mushrooms is delicious, but there is little cheese on it, beware. Grilled aubergine with pomegranate and turmeric sauce.